What better time to be traveling through Europe on a soccer tour than when the continent is captivated by the sport’s biggest tournament, the FIFA World Cup. 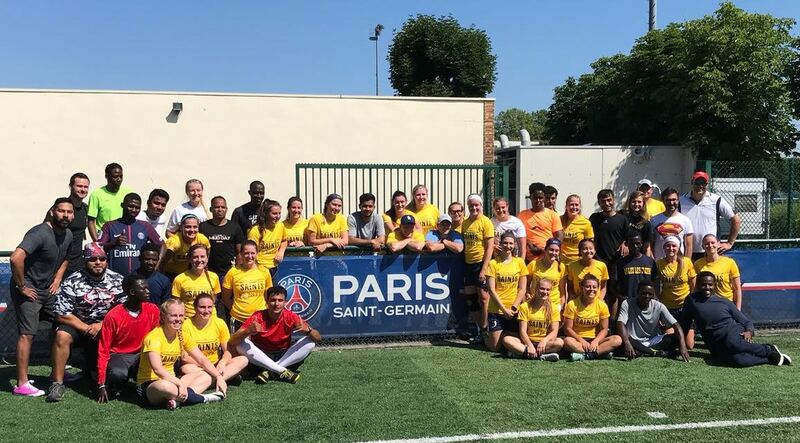 That was one of the reasons Siena Heights University head coach Scott Oliver chose to take his women’s soccer squad from Michigan to England, France, Belgium and the Netherlands in July. The Saints headed overseas for a third time with Global Football, with sightseeing, a coaching clinic, a match against top Dutch side Den Haag and soaking up the World Cup atmosphere all part of the itinerary. The SHU soccer travelers kicked off their overseas adventure in London with a walking tour, a spectacular view of the capital from the London Eye and a cruise on the River Thames. 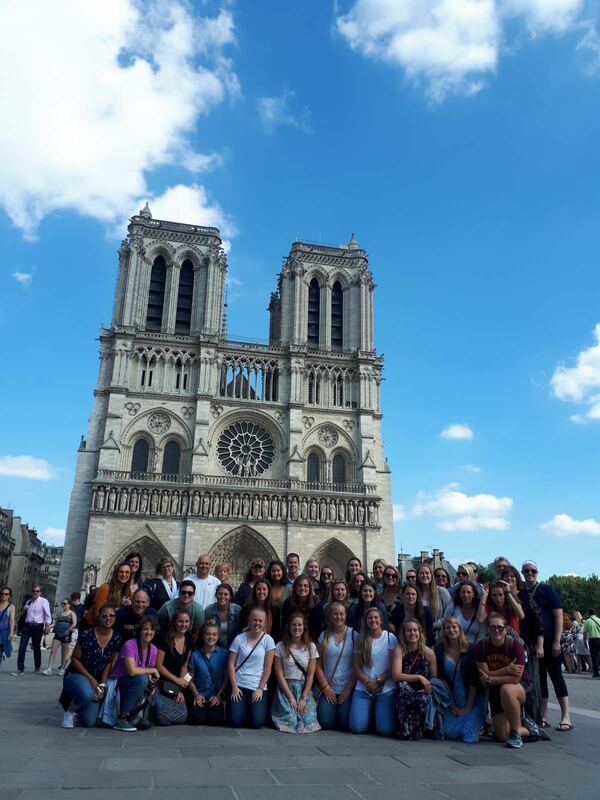 Then it was off to Paris via the Eurostar, an experience that for most Europeans is little more than a means of travel but holds an appeal for Oliver and his team. “In Europe they rely on trains or the tube for everyday travel and I wanted to make sure we experienced that,” said Oliver. “We have nothing along those lines in Michigan. The traveling time is only three hours between these places whereas in our area you’re three hours from Cleveland and Cincinnati. The Paris stop featured tours of the Palace of Versailles, Notre Dame, the Louvre and the Eiffel Tower. The Saints practiced at the training complex of the famed Paris St Germain club, where they got to meet some of the club’s famous players, and hosted a clinic for soccer-enthusiasts among refugees from Afghan, Syria, and Iraq. “These overseas trips are a lot of fun, but more importantly they help our kids experience a different culture,” said Oliver, whose Saints traveled previously with Global Football to Italy and Spain. “With the world being so accessible through social media, they now actually get to see places overseas first hand and meet people. A brief stop-off in Belgium was followed by a train ride to the Netherlands and a chance to enjoy the miles of canals of Amsterdam and a visit to the poignant Anne Frank House. The Saints played their match against ADO den Haag before returning Stateside.